This has been long overdue. I got nominated for the Liebster award by two wonderful bloggers Sarah from Sarah’s Wanderland and Johann from Escaping Life. Thanks Sarah and Johann. It feels great to be recognized and appreciated by fellow bloggers. If you haven’t checked out their blogs, you immediately must. Sarah started travelling about two months ago and after traversing through Phillipines, she is now exploring Australia. Johann on the other hand, has traveled to some really beautiful and lesser explored destinations such as Georgia, Bahrain and North Eastern part of India. The Liebster Award was created in 2011 to encourage bloggers to promote new and emerging blogs. What motivated you to start your blog and how long have you been blogging? I have been blogging for three months now. The motivation for starting the blog was to share all the experiences, stories, misadventures and wow moments that we encountered on our trips and hear some more stories back from readers and fellow bloggers. How/why did you pick your blog’s name? I and my husband, Praneet love to travel and explore new places. Since it is often difficult to take frequent leaves from work, we decided to do more of those short weekend trips in and around the place we stay or travel to for work to satiate our wanderlust. 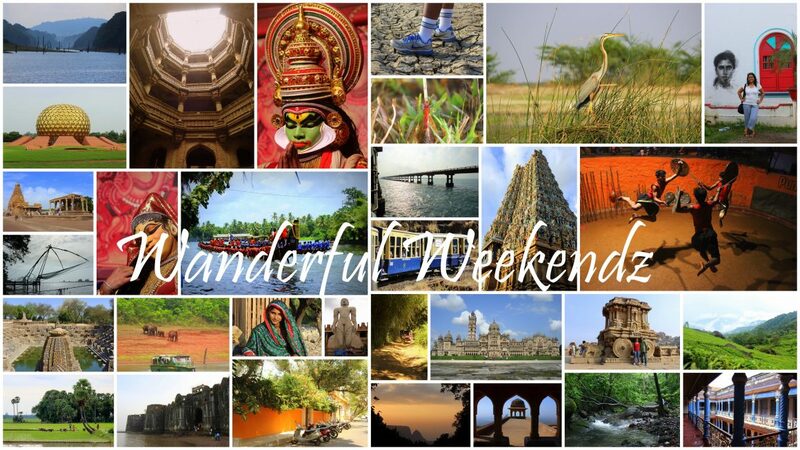 That is how the name of the blog came to be, WanderfulWeekendz. If your blog had a playlist which songs would be on it? 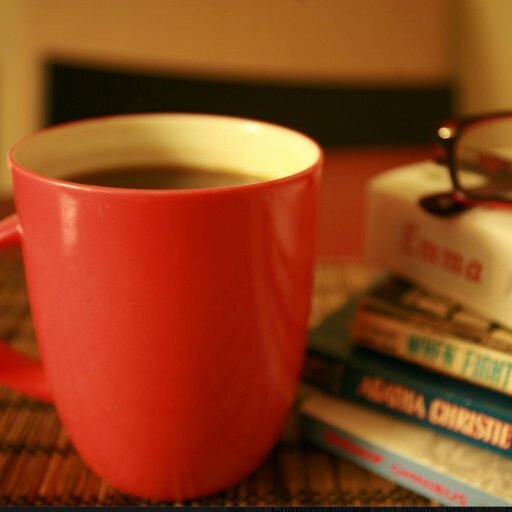 What’s your favourite blog post (you have written or someone else has written)? My favourite blog post written by me would be Solo in Goa because it was the first time I traveled alone. I was unsure and hesitant at first but eventually came to enjoy myself. Written by someone else, would be this blog called Living Unplanned chronicling the journey across India of Neetole Mitra, a female solo traveller. I love reading her posts coz she really paints a very vivid picture of her trips through words. The places she covers are usually non-descript towns or places seeped in mundane routines but the way she narrates her experiences, makes one feel like picking up a backpack and setting out on a trip to the unknown. When I started blogging, the idea was just to share our travel experiences and I went out of the way to conceal any personal information to the point of being cynical. I was hesitant to put up our names or even photos of us on the blog. But having lived in the blogging community for some time now, I feel much reassured and am consciously trying to be more open now. Which country has surprised you positively? I would say India. The more I see my country, the more I am surprised and awed by it’s diversity, culture and sheer beauty. Other than India, it would probably be Singapore. Even though small, Singapore has so much to offer to a traveller from beaches and forested islands to history and culture to malls, amusement parks and a buzzing night life. No matter how many times one visits Singapore, there is always something new to see. I am quite impressed by how frequently they keep adding new attractions and stay so tourist friendly. Tell me about one of the best meals you have ever had and where you ate it? That’s a difficult one cause there are many. But I remember the time we were in Boston a few years ago and went whale watching. Before we boarded the boat, we packed some clam chowder (a New England speciality). After a chilly morning out in the sea, the warm chowder was oddly comforting. I dunno if I would like clam chowder as much if I had it again but at that time and place, it was exactly what the doctor prescribed. What’s the most incredible thing you’ve done while travelling? Well, I once participated in a 100 km trail walk through rural Karnataka (India) and besides the physical challenge part, it was really an incredible opportunity to admire and appreciate nature and rural India from close quarters. Name 3 items you cannot travel without (passport doesn’t count). Well the travel calendar is open as of now. Still deciding on the next destination. It will be a weekend trip around Mumbai, where we live. When and how did you start traveling and blogging? Being born into a family that loves to travel, I have been travelling since childhood. My earliest memory of travelling was taking bath in the freezing waters of the Ganga at Haridwar in the Himalayas. I must have been 5 or 6 years old then. The blogging though started only three months ago and in the blog primarily covers the more recent travels that I and Praneet have undertaken together. What are your best and worst travel experiences? My best and worst travel experiences both happened on our trip to China. Worst because it was fraught with delayed flights, cancelled flights and to top it all, an apathetic and unresponsive travel authorities. Best because while we got no help from the authorities, the common people in China were very helpful. Nowhere else have I seen complete strangers stepping up by themselves and helping out with directions on noticing two confused foreigners struggling with maps or sign boards. What is your opinion of India as a tourist destination? Diverse and Beautiful. Never ceases to surprise me. Where would you travel to right now, if money is not a criteria? South America. I am really intrigued by their history, natural wonders and vibrant culture. Would like to see Machu Pichu, the salt flats in Bolivia and Rio. Your top 3 photos from your travels? Name an experience you had while traveling that you would do again and again. Talking to locals, cab drivers and fellow travelers. Locals because well who knows the place better! Cab Drivers coz I have noticed that they always have pretty interesting stories to tell, be it about the place or other travelers. And to fellow travelers to hear their travel experiences. India, the part that does not exist in travel books. Give 5 travel tips to my readers and other travelers? Chuck fancy transport and guided tours. Take the train, bus, the subway and travel like a local. Yes, you might get lost or delayed but you might also stumble upon something off the travel book. Shop less, see more. You can really find those same designer bags or clothes back at home too but you won’t see the same sights back home. Travel responsibly. Too many beautiful places are getting spoilt by reckless travelers. Carry an umbrella. Rain or sun, it always comes handy. Finally, what is your impression of Escaping Life? Adventurous. Off the beaten track. The Thrifty Chic Girl is a fashion, beauty & travel blog. Sauumye started this blog in Jan 2016 to share her interest in fashion trends & thrifty fashion and beauty finds with the world. Later on, she expanded it to cover her travel tales. she hope that The Thrifty Chic Girl becomes a guide for thrifty & fun fashion and travel finds. Milena Radeva is a children’s book illustrator. She is from Sofia, Bulgaria and still lives in her hometown. She is almost 29, and lives with her boyfriend (who is an artist, too), her cat Neko and their dog – Christopher (name after Christopher Columbus). She started her blog right before Christmas 2016, while she was planning her next trip abroad. As an artist the main goal of the blog is to give readers more info about the historical, artistic and cultural aspect of the places she visits along with funny stories and moments. This includes art galleries, museums, historical buildings or places, and also – a lost sock, missed train, or mistaken address. Most people are not familiar with the aspects of art history, but when they find a simple, easy to remember way to explain things – they may turn out to be very interesting. She hopes to manage to show this in her next posts and stories. Aurelie and Michail are currently located in Chania~Greece. Aurelie is a lovely Belgian teacher/coffee addict with a Master’s degree in Political science, highly concerned about the environment, healthy nutrition, cultural exchange and of course travelling. Michai is, an economist with a Master’s degree in Political science and Sociology and also a degree in Wine making and beverage technology (and yes it is completely irrelevant with his previous studies but he absolutely loves it). Lyka is a blogger from the Philippines and love to travel the world and meet new people. She is a lover of photography, people, technology, good food and epic adventures! The blog is her outlet to explore all these things and share them with the world. She hopes people enjoy reading about her experiences. Jyothsna is a travel & food blogger from California. She grew up in 5 countries & has traveled to 22, which spurred her love of different foods & places. Her blog is a way to share these adventures and inspire readers to take on adventures of their own. Other things about her are that she a Nutella Worshipper and a total sucker for puppies & baby elephants. What inspired you to pick this name for your blog? Where did you go on your first trip ever? Three things you cannot travel without. If you were not allowed to blog about travel, what would be blogging about instead? What has been your best and worst experience while travelling? What is the most adventurous thing you have done on a trip?